Kartikeya Sharma is one of the youngest, dynamic, visionary media entrepreneurs in India. The ITV Network’s genre defying success has been on Kartikeya’s entrepreneurial abilities and his his commitment to quality journalism. Entering a crowded market Kartikeya Sharma has proved that there is always room for a quality product/s, while still being profitable. 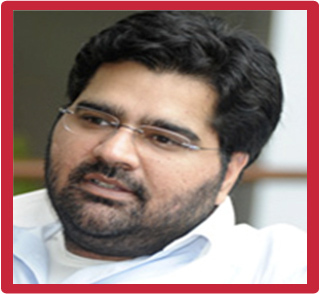 Kartikeya Sharma has been able to identify and attract the right kind of talent to build a future proof organization. Kartikeya oversees the hospitality business of the Piccadily Group, which has diverse interests in sugar, real estate, distilleries and wineries. Kartikeya is an Oxford graduate with Masters in Business Administration from King’s College, London. 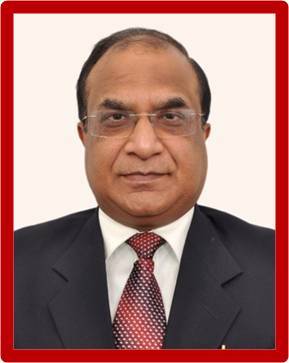 Arun Aggarwal, is a finance veteran in the media industry with over 25 years experience in financial management covering fund raising, credit control, commercial, business planning and modeling, investor relations, debt restructuring and treasury management. This is Arun’s second stint at ITV Network. In his earlier stint he was actively involved in the acquisition of NewsX. Earlier, he was associated with Zee Network for nearly 10 years holding various positions including that of CFO, Sr Vice President, Vice President responsible for serveral crucial functions. He also has the unique experience of having worked with a News start up for two years in S. Africa. Arun has been an active participant in broadcast industry body (IBF) and was part of the team which was instrumental in streamlining the outstanding collections issue for IBF. Arun is a Chartered Accountant,Company Secretary and a Law Graduate.